We miss it so much. 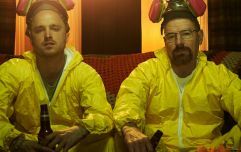 The insane story of how a chemistry teacher decided to become a meth dealer, after being diagnosed with cancer, it was not long before people were calling it one of the greatest TV shows in history. Part of the reason for this was the insane eye for detail, and the writer's ability to come up with bafflingly complex plotlines that always kept us on the edge of our seat. Hilarious, gripping and tragic at times, it has not aged one bit in that whole length of time. So, to honour the anniversary, here is a list of some of the incredible facts you might not have known about the show while it was still going. One of the longest standing stories surrounding the making of Breaking Bad is that the writers were originally going to kill off Aaron Paul's character Jesse Pinkman. 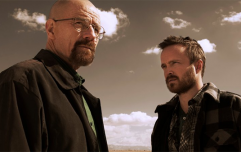 It was only due to his chemistry with Walt and the 2007-08 Writers Guild strike, which began while the show was in production that creator Vince Gilligan decided to change his mind. "I was going to kill off the character of Hank at the end of that first season, having originally planned to kill Jesse and changed my tune on that pretty quickly because I realized how great Aaron Paul was. Of course, Dean Norris was just as great, but I figured I ought to sacrifice one of the main characters at the end of Season One, because that’s what the ballsy shows do! But the whole shape of the show would have been so different from what you know now, and I think it would have been a much shorter, less rich experience." This has always been a very popular idea spread among fans of the two hit AMC series', and there is one major piece of evidence to support it. In only the second episode of the zombie drama, eagle-eyed viewers were quick to notice a certain product showing up in a small bag of drugs belonging to the series' initial villain, Merle Dixon. The specific drug in question was blue crystal meth, which just so happens to be the signature colour of Walter White's meth. It is definitely plausible to think that Heisenberg's meth made it all the way from Albuquerque, New Mexico to Atlanta, Georgia, since he had managed to get it as far as the Czech Republic too. With that being the case, it adds a lot to the idea that Gus Fring is a zombie, given that he was briefly able to walk about after having half his face blow off in the latter half of the show. One thing the writers of Breaking Bad have been able to pull off like few others (save for the Arrested Development team) is the art of the callback reference. They could raise a detail in the first episode, such as Walt losing his trousers in the New Mexican desert, only to have those same khakis reappear five years later. However, the real gems come from everyone's favourite sleazy lawyer, Saul Goodman. In these instances, the callbacks don't just span seasons of the show, but they leap between the two shows themselves. 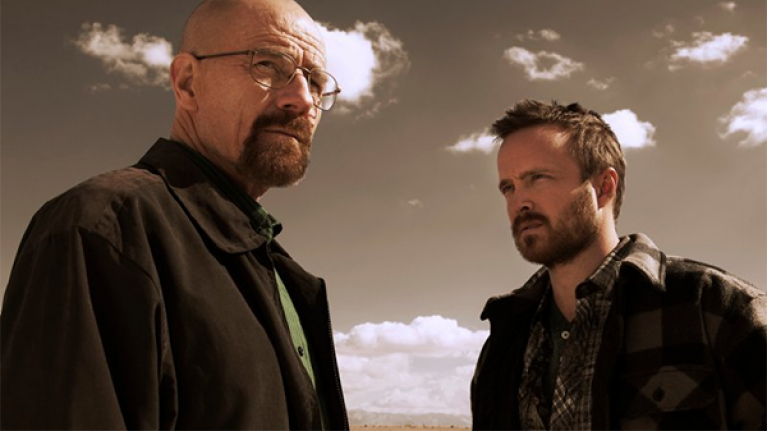 For example, when Walt and Jesse first abduct Goodman in his first episode, during the second season, he immediately begins to panic and shout about bad blood he might have with a man called Nacho. He just so happens to be one of the main antagonists in the series spin-off Better Call Saul. Better still is a completely throw-away anecdote he tells Walk in the show's third season. According to Saul, he once convinced a woman to go to bed with him by telling her he was the actor, Kevin Costner. Later, in the season finale of Better Call Saul, does this ridiculous story come to life. We actually get to see the actual scenario take place. Yes, in honour of the show's 10th anniversary, a real-life version of the fried chicken restaurant owned by the show's major villain, Gus Fring was set up in the fictional take-away's actual location. Way before he created Breaiking Bad, Vince Gilligan was a staff writer and director on the mega hit sci-fi series, The X-Files. This was where he first encountered the man who would eventually become Walt, Bryan Craston. It was on an episode Gilligan wrote called 'Drive', which features Craston playing a racist who has a terrible pain in his head, and who can only alleviate the serious aches by driving west. The second season was often seen as one of the strangest of all six seasons, when four episodes opened with an eerie black and white scene involving an ambulance and medics outside Walt's house. Included in the scenes is the now iconic pink bear. It was only during the season finale that the show revealed this to be a plane crash that Walt inadvertently caused through a series of decisions. However, the writers had been hinting at this all year through the various episode titles. The four episodes, in which this scene was included were called Seven-Thirty-Seven, Down, Over, ABQ. A 737 is the specific make of plane, which crashed right over Albuquerque, New Mexico, where the show takes place. In other words, they told us: A 737 plane went down over Albuquerque, New Mexico. Gotta hand it to them. That was pretty brilliant. Again, while the creators were always tight-lipped about how the series would end, they did tend to tell us what would happen a lot in advance. The finale is the best example. Titled Felina, the final episode shared its name with a 1959 song called 'El Paso' by the country singer Marty Robbins. In the episode, Walt can be heard playing the track and singing it as he constructs a robot to fire his M50 machine gun. The song specifically tells the story of a man who falls in love with a woman called Felina, and who ends up killing a man to defend her. The character later flees his home in El Paso, only to return home. There he ends up in a major shoot-out and is struck by a bullet in his side, which later kills him, but not before he can say goodbye to his woman. That is the final plot. Change Felina to meth, and it is all there. Walt falls in love with making meth, kills his brother-in-law, flees his home and returns only to end up being shot in the side during a dramatic shoot-out. His final act is saying goodbye to a boiler in the lab he helped to build. When Walt is finally arrested by Hank, he calls on the Neo-Nazi's who have taken over manufacturing his meth by reading them out a series of geographical co-ordinates that will lead them to his location. Actually, anyone who cared to Google them might be tickled to discover they actually lead to the show's specific studio in New Mexico. 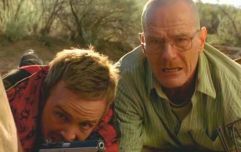 Long before he directed Star Wars: The Last Jedi, Rian Johnson first made a name for himself by directing a few episodes of Breaking Bad, including the episode where Hank is murdered by the Neo-Nazi's, To'hajiiliee. Interestingly enough, while a lot of people have been divided over whether his contribution to Star Wars is either the greatest thing ever, or the worst, a lot of Breaking Bad fans are similarly split over his first contribution to the show: The Fly. This episode is entirely based around Walt's attempt to kill one single fly in his meth lab, during which he subtly changes from an idiot in over his head to a proper villain. Viewers were split on whether the episode was a masterpiece, or complete rubbish. It's funny how some things never really change. Every time Walt killed a person, he tended to make a minor change to his own personality. For example, in the first season he held a rival-dealer named Krazy-8 hostage, who hated the crusts on his sandwiches. After he strangled him, Walt began cutting the crusts off his own bread. Later, after blowing up Gus, Walt started to drive a Volvo, which was the very make of car his nemesis drove. Finally, Walt was a man who tended to drink his whiskey with ice. Although, after killing his main hench-man and colleague, Mike Ehrmantraut in the fifth season he started to order the drink straight up, just like Mike. Finally, because it really is worth mentioning, one of Walt's hired goons, Huell was left to hide out in a motel by Hank's instructions during the final season of the show. Since Hank was killed only hours later, and was the only person to know Huell's location, while also advising him to not exit the room, it is plausible to assume Huell is still sitting there in fear of his own life. After ten years, the show still has more than a few thousand surprises for its loyal fans. Chances are we have yet to scratch the surface on this, so we'll see you back here in another decade.